Galvanized chain link fencing is a new type of chain link fence. 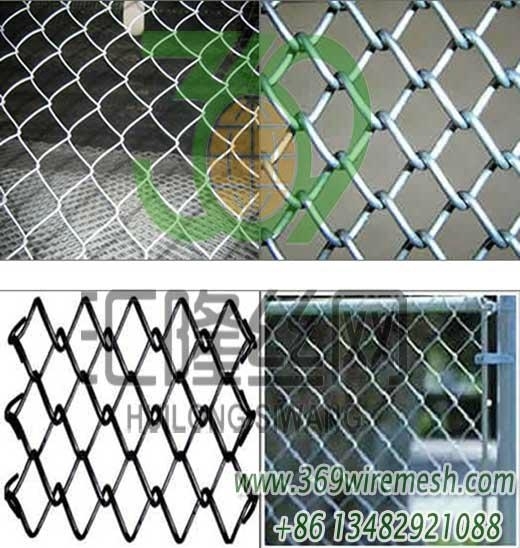 Galvanized chain link fence can increase the useful life of the network, while also improve aesthetics of the mesh. There are some techniques of galvanized fences to help you learn more about the galvanized fences. The first is ultra-high pure galvanized, which generally applied to the semiconductor, optoelectronic and infrared detection equipment materials. This galvanizing technology is not used in the chain link fence at present. The second is the plate electro-galvanized. This galvanizing technology is widely applied to the mesh, and galvanized chain link fence also adopted the technology. The alloy coating thickness is about 0.01 ~ 2μm, then plating 0.5 ~ 100μm thick Zinc coating until the coating has a uniform appearance. The third is galvanized additive synthesis and application process, which belongs to the fine organic synthesis and plating process. Using silicates of zinc plating solution with zinc oxide and sodium hydroxide are configured with this additive. This technique can make the galvanized layer plated, bright and having a combing power for fence. The new technology of galvanized is not only to ensure the product's aesthetics, but also extend the useful life.